A disturbed, war-scarred crime reporter turns to illegal means in an attempt to generate news stories in this gripping early-thirties thriller based on the acclaimed play by The Ghost Train’s Arnold Ridley. Starring Richard Bird as the alcoholic criminologist with an axe to grind, The Warren Case is directed by Walter Summers, whose two-decade body of work includes acclaimed historical reconstruction The Battles of Coronel and Falkland Islands and pre-war shocker The Dark Eyes of London. It is featured here in a brand-new transfer from the original film elements in its as-exhibited aspect ratio. The British Film collection was launched by Network Distributing in April 2013 as part of a five-year plan to release over 450 vintage British films through a deal with Studiocanal, one of Europe’s leading distribution and production companies. Many of the films have never been available to own and will benefit from new transfers, affirming Network Distributing’s commitment to classic British cinema. Titles include significant works from studios including Associated Talking Pictures, Ealing Studios, London Films, British Lion, Associated British Picture Corporation and EMI from the Studiocanal archive. 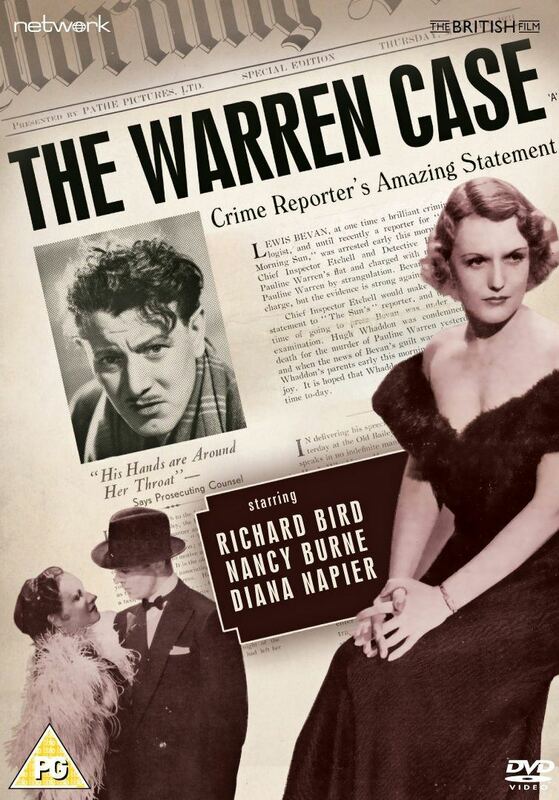 Featuring: The Warren Case (1934).